I get emails every week from aspiring jazz musicians asking me about practicing. They desperately want to become better jazz musicians, but they feel discouraged. They feel as if the mountain is just too steep to climb and even if they tried, they’re not exactly sure which route to take. The truth is, becoming a better jazz musician is far from cheap and easy. It takes work, and not everybody likes to hear that. 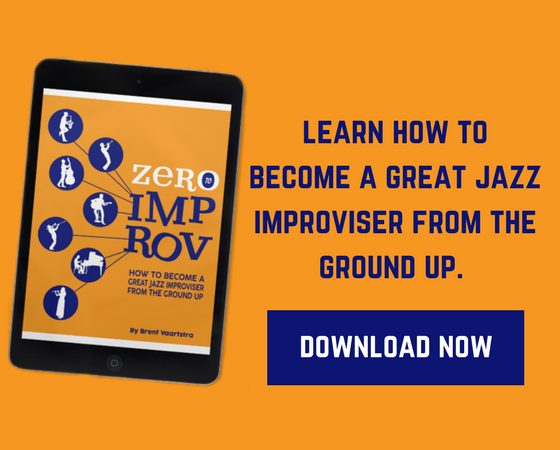 I’m not in the business of fooling anybody, though, so I think it’s important to let you know that if you want to become a better jazz musician, you have to be willing to practice. Becoming a better jazz musician is about time and pressure; putting in the hard work now so that you can reap the benefits later. But if you’re anything like me, practicing jazz can be a great pleasure. In fact, I find that most people that hate to practice either are not interested in becoming a better musician or they are doing it wrong. 1. They don’t set goals and come up with a plan. If you don’t set goals for your jazz playing and establish your vision for where you want to be, you will find yourself wandering aimlessly. Practicing without focus or direction is not only a waste of time, it’s crippling. You need to set long-term goals (what you want to accomplish over a long period of time), short-term goals (smaller items that help you accomplish long-term goals), and micro goals (items that you do daily or within a weeks time that will help you accomplish your short-term goals). Technique. 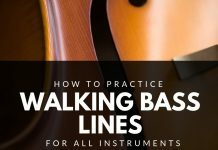 You need to be working on things that help you become proficient and technically able on your instrument. These things may have less to do with jazz, but more to do with mastering your instrument. Jazz repertoire. Jazz standards are the vehicles in which jazz musicians use to improvise and communicate with each other. They inform a jazz musician’s harmonic and rhythmic choices. You must learn jazz standards to truly understand what this music is all about. The same as a chef has to know the basic recipes before creating something new, a jazz musician needs to know the traditional songs so he/she can create something of their own. Jazz language. Music is a language. Jazz is a language. In order to learn it, you need to be speaking, writing, reading, and mimicking it. You need to learn solos, licks, and lines from jazz greats. Learning jazz vocabulary is crucial to your jazz improvement. 3. They try to learn too much at once. A classic mistake: information overload. The thought is “if I learn another solo, another song, another lick this week, I’m going to get better faster.” Wrong. It is much better to learn a few things really well. 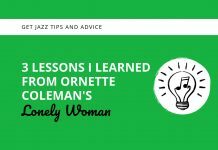 It is much better to exercise repetition on one jazz solo, one lick, or one jazz standard than learning so many that they don’t ever really stick. The less is more approach is the approach that will produce real results in your jazz playing. The place to start is committing. In my experience, the best way to commit is to give yourself a time frame. For our sake, let’s commit to one month worth of focused, goal-oriented practicing. 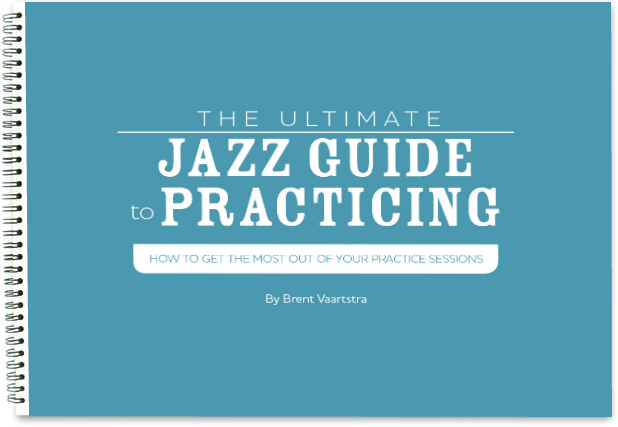 Your practice sessions should be informed by the 3 categories I just mentioned: Technique, Jazz Repertoire, and Jazz Language. Your goals should also be informed by these categories. Once you have committed and you have reflected on the 3 categories, it’s time to set goals. This is pivotal. If you do not set goals and write them down, you are going to be hobbling throughout your month of practicing. LONG TERM GOALS: by the end of the month I will have learned 4 new jazz standards, 1-2 new jazz solos, 4 new jazz licks in all 12 keys, and practiced technical exercises every day. SHORT TERM GOALS: by the end of each week I will have learned 1 new jazz standard, 16-32 bars of a jazz solo, 1 new jazz lick in all 12 keys, and practiced 7 days of technical exercises. Pattern 1 (1231) from the 6 Patterns For Major Scales worksheet. Learn only the melody to Autumn Leaves (or your standard of choice). Learn only the first 4-8 bars of the Miles Davis Freddie Freeloader solo (or your solo of choice). Learn a ii-V-I lick in concerts C and F.
As you can see, everything is organized and planned out so that you can achieve your first week’s goals. You can probably imagine how you would build off of this Day 1 into Day 2 and the rest of the week. This kind of focused, goal-oriented practicing, is the kind of practicing that will help you actually become a better jazz player. If you find yourself in need of this kind of practicing, I suggest you start right away with your planning. However, this is a big task. If you need some help with this, you’re in luck: I’ve already done all of it for you. The LJS team and I, have created an incredible e-Course that our students have been raving about called “30 Days to Better Jazz Playing”. 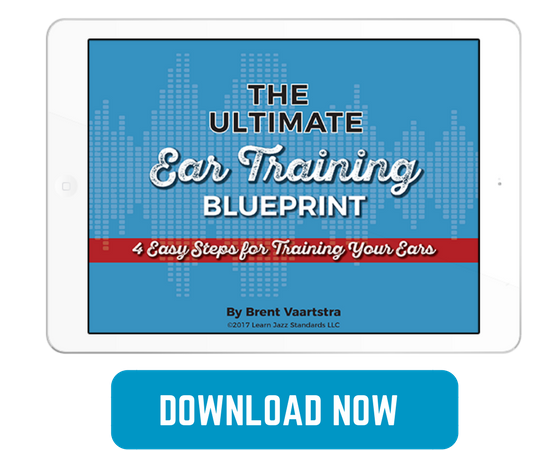 This audio e-Course brings you through 30 days of focused, goal-oriented practicing, where you will be working on things that will actually improve your jazz playing. I’ve structured it all out for you, I’ve given you all of the resources to help you achieve this, and lessons to help you grow. If you want to learn more about this course, I encourage you to click the button below. This practicing can be monumental for your jazz playing, and so I hope you will join me in the course. 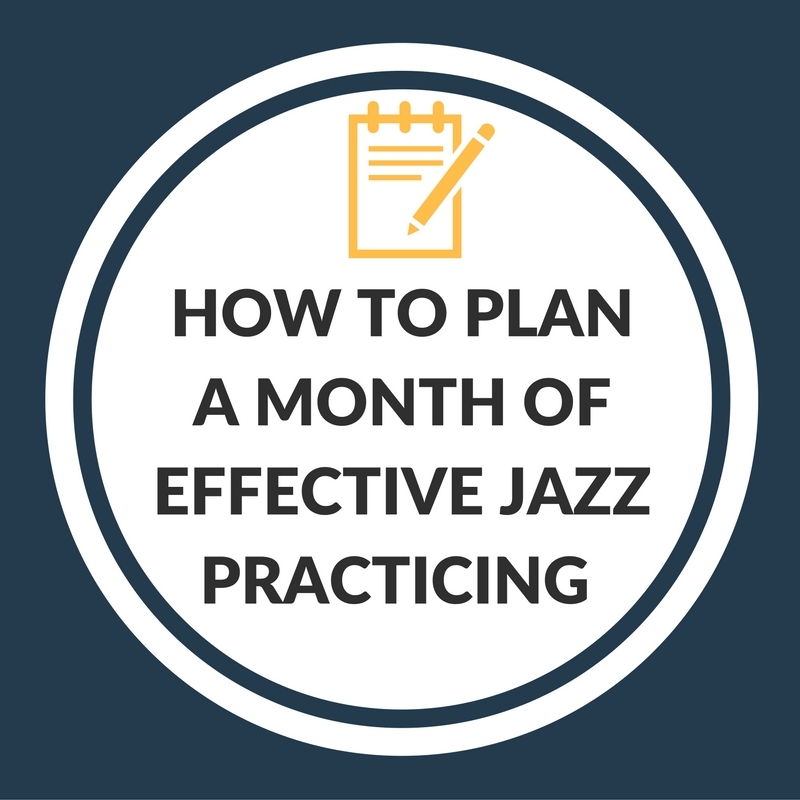 Either way, commit today to plan your month of jazz practicing. There is never a better day to start than today! I’m assuming that the melody and solo you learn can be from the same song? Hi Aaron, that may be a good idea, but it's also a good idea to reference multiple recordings when trying to learn the melody. Outstanding post, Sir! Though I now you've talked about all this over the weeks and months; this is an excellent and clear strategy road map. Very helpful. Thank you so much!